Sleeker, longer lasting - but too small? 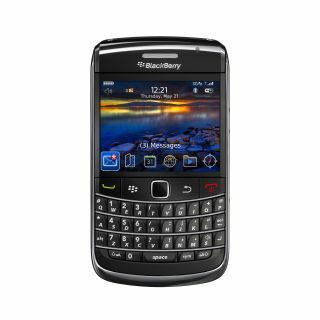 RIM has announced the new BlackBerry Bold 9700, an updated version of the company's first 3G handset. Aping the earlier design, RIM has brought a device with dimensions 109 x 60 x 14.1 mm, meaning a more compact keyboard, and has also dispensed with the trackball in favour of an optical trackpad, as seen on the Curve 8520 earlier this year. The BlackBerry Bold 9700 brings a 624MHz processor for improved multi-tasking, 256MB flash memory and a 3.2MP camera with autofocus and single LED flash. The 2.44-inch display has HVGA resolution, and videos were rendered in superb detail when we had a quick play with it earlier today. RIM said it would be putting a 2GB microSD card in the box, although it can support up to 32GB once such cards are made available. The phone packs Wi-Fi, a 3.5G connection and built-in GPS. RIM told us that it was continuing with a strong focus on media too, so along with the aforementioned video display the Bold 9700 supports geo-tagging, has a recessed 3.5mm headphone jack and brings BlackBerry Media Sync, making it compatible with iTunes and Windows Media Player. It's an interesting move from RIM and one that is similar to the Storm 2 release - it's a simple evolution of the original design, and the company says it has listened to criticism about the first Bold's battery life, increasing the Bold 9700 to 16 days standby and 7 days of talktime. The first Bold was a clear move from RIM further into the consumer space - the addition of 3G and the pushing of BlackBerry Messenger showed that it wanted to put the device in the hands of teenagers and young adults too. The new Bold 9700 is aimed at the same space - however with a smaller keyboard it will be interesting to see if users are as attracted. The BlackBerry Bold 9700 has a UK release date for early November, but as yet pricing has not been announced. If you want to know what TechRadar thought about the handset, then check out our hands-on review.